If you regularly check labels, and are concerned about GMO and food additives, you’re not alone. Americans have become, party due to the powerful research capabilities of the Internet, more conscious about our food’s ingredients than ever before. NuManna was founded on the principals of emergency preparedness based on wholesome foods that will sustain your family’s long-term health in an emergency. The controversy over genetically-altered foods is just getting started. Initial research has created more questions than answers. Because GMO is already part of tje foods is our supermarkets, and because there haven’t been decades-long clinical trials, the American people have become, in effect, guinea pigs for GMO companies. But, you can opt out. 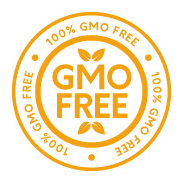 NuManna foods are certified 100% GMO Free. 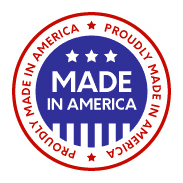 We do our own DNA testing to double-verify all of our supplier’s claims. It’s that important to us. If it has the NuManna name on the package, you can be sure it’s GMO free – for your long-term health. Aspartame is often used as a sugar substitute. NuManna has chosen to opt out of this trend. Research and studies have shown massive side effects, including headaches, dizziness, digestive problems, diabetes, and other very serious health conditions. Needless to say, these are not the kinds of experiences we’d want to subject our families to. We’ve chosen to ban any Aspertame (which goes by many names) as an ingredient in any of NuManna’s products. Because of the excessive chemicals sprayed on GMO crops High Fructose Corn Syrup has shown traces of mercury in them. It has been shown to be very hard on the pancreas and especially hard for small children to process and utilize. Because of the FDA’s definition of mono-sodium, it is increasing difficult to label foods NO MSG. If a recipe has cheese or tomatoes in it then, according to the FDA, you cannot say it is MSG Free. 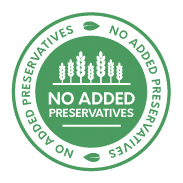 You will not see added chemical MSG in our ingredient lists. 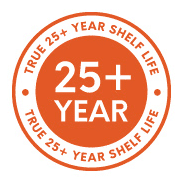 There is a lot of science and art that goes into making a recipe store well without using chemicals to stabilize it. NuManna uses master blenders who have combined specific ingredients in a way to ensure quality over time. The packaging is of the highest standards. 5 mil over-engineered bags keep out any oxygen or light and the oxygen absorbers in the bag ensure the recipes are extremely well cared for. Add some Sea Salt and our food will stand the test of time. Because of estrogen mimickers and hormone manipulation concerns Soy is something some want to avoid. Combine these concerns with the allergies associated with Soy and it is just an ingredient we didn’t want to put into NuManna. You also won’t find any “plastic meat” like TVP or other Soy derived meat-like ingredients. NuManna meals are Soy Free.